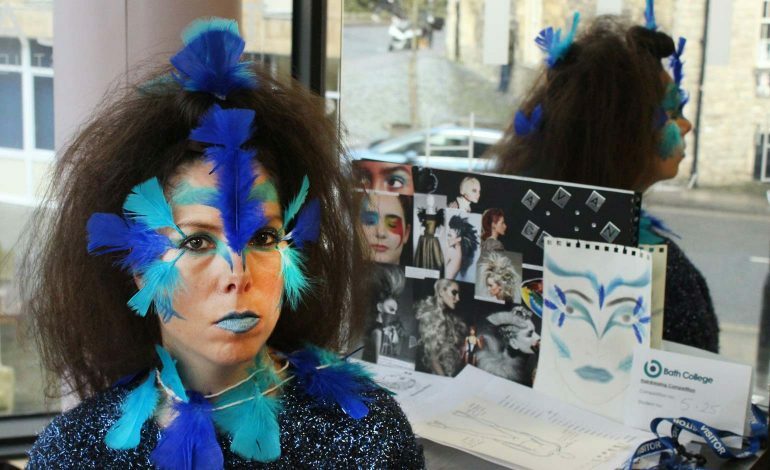 Bath College held its annual Hair and Beauty competition last week, with organisers saying the event, which involved a variety of students, was bigger and better than any previous year. 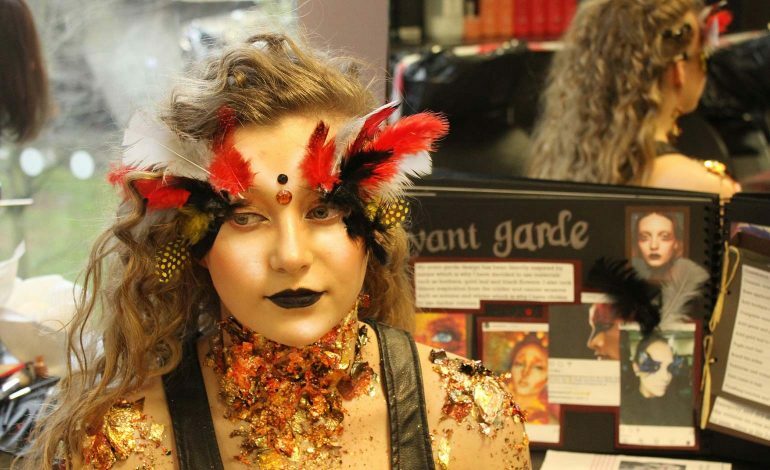 The theme for this year’s competition was a fantasy avant-garde look, and students were given free rein to design their own looks, including hair, makeup and clothing. The students, who have been preparing for some time, had to source their own models and complete their desired look under time constraints. Special judges from within the industry were brought in to assess the work, as well as the students’ final looks. These included Natalie Yates from Melanie Giles; professional makeup artists, Kellie Moody and Liv Day; Rebecca Catton and Chelsea Gregory from Babington House Cowshed and Abi Greenslade from The Pig Hotel and Spa. The hairdressing students were given an hour to complete their styles, and the makeup artistry students had two hours, after which they had to stop what they were doing and the judging commenced. The judges highly-praised the level in which the students were working, and the professionalism they showed when at work in the studio. The judges decided on a first, second and third place winner from each group, aside from the Level 1 Festival look, where only a first and second place were awarded. The winners were given prizes sponsored by Ellisons Hair and Beauty, Bath Academy of Media Makeup, Liv Day MUA, Lucknam Park Spa, Cowshed and The Priory Hotel. Each prize package included an array of beauty tools and products, with one lucky winner getting a £150 voucher for a Special Effects Makeup course at Bath Academy of Media Makeup. Lisa Nelson, Bath College Hospitality, Spa and Landbased lecturer was thrilled with the work the students put it. 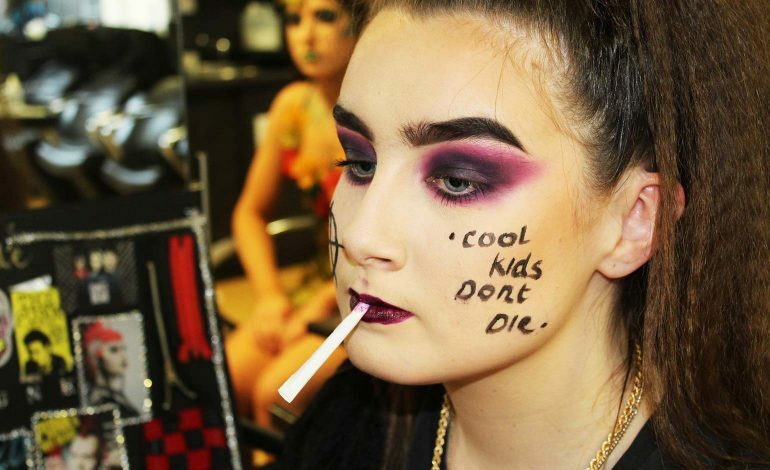 She said: “Students were from full time and industry based learning, they were given a free hand to complete a Fantasy Avant Garde total look to include hair make-up and clothing. At the same time as the hair and makeup challenges, Bath College Spa and Complementary therapy students were taking part in a competition of their own. For the complementary therapy students, these included a 45-minute aromatherapy back, neck, shoulder and face massage, with each student blending their own essential oils tailored to their client’s needs; a 45-minute reflexology treatment, using pressure points on the soles of the feet to induce a feeling of relaxation and wellbeing. The Spa students performed a deep tissue Swedish massage on their clients. Aside from being a competition, it was an ideal opportunity for students to showcase their talent and skills to local industry professionals, and discuss work opportunities and employment.